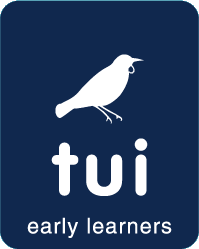 At Tui Early Learners we believe children must be given every opportunity and above all the time to connect with nature. We value children learning about nature in nature, and letting nature be the teacher. Confidence - children grow in confidence as a result of the freedom, time and space they are given in their learning. This allows the to demonstrate independence at each individual child's rate. Social Skills - Activities such as sharing tools and participating in play help teach the children to work together as a group, which strengthens their bonds and social ties. Communication - The sensory experiences provided helps prompt language development. Improving communication skills has a positive effect on a child's self-esteem and is a crucial part of their development. Motivation and Concentration - high levels of interest leads to high levels of attention. Spending time on the farm in nature is exciting for a child. It tends to fascinate them which develops a strong will to participate and concentrate over long periods of time. Physical Skills - The increase in outdoor activity is bound to have a positive physical impact. Not only does the development of physical stamina improve but also gross and fine motor skills. Knowledge and Understanding - Children develop an interest in the great outdoors and respect for the environment. Encouraging children to develop a relationship with the natural world will help in protecting the environment for generations to come. New Perspectives - Nature Explorers isnâ€™t just beneficial to children it is also beneficial to teachers. Observing the children in a different setting allows them to gain a new perspective and understanding of them. Ripple Effects - When children really engage with the Nature Explorers Programme they will take their experiences home to share with friends and family. This will often encourage families to visit their local nature areas more frequently. Levels the Playing Field - Taking children outside of the centre removes the pressures of a larger group and allows them to play to their strengths and learn at their own pace. Enjoyable for the Children - Nature Explorers is fun! It is educational whilst also allowing children to play, explore and discover. Children who participate in outdoor programmes are generally observed to be happier. The fresh air, the excitement, getting mucky â€“ it doesnâ€™t get child friendlier than that.